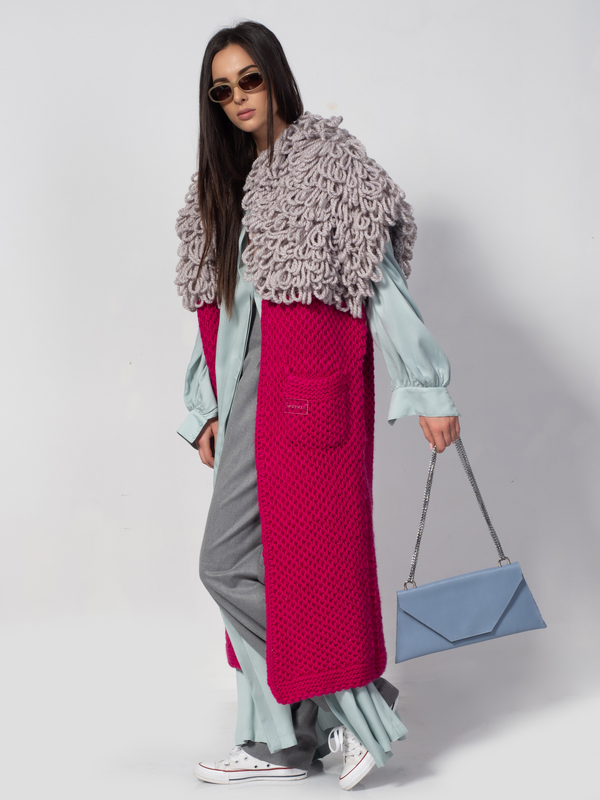 Inspired by the traditional Bulgarian ritual “Kukeri”, this collection combines elements of the accustomed clothing with a contemporary and modern vision. This revolutionary unusual approach of a result between past and present, creates an avant-garde yet ancient look, resulting in an elegant style. 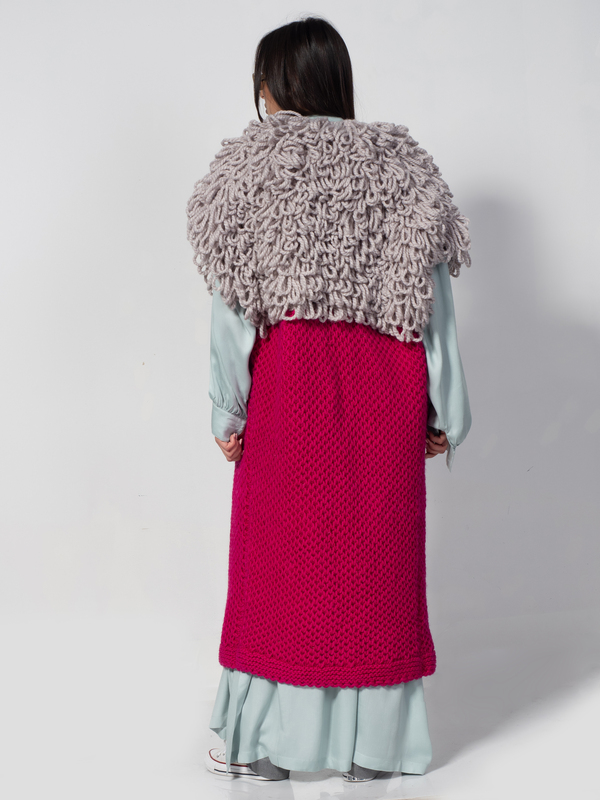 This oversize cardigan is made of 100% Bulgarian wool to the body and 80% wool and 20% acrylic to the macramé, creating elegant movements and making you feel warm and comfortable while enveloping the whole body. Made with love and attention to details, completely handmade, the Spectacle Capsule Collection is suited for the elegant contemporary woman that values herself and takes care of each particular. Since it is 100% handmade and entirely of Bulgarian wool, it should be only hand washed and dried horizontally, in order to maintain the structure of the wool.